Just like Hollywood with Les gars des vues! Les gars des vues returns for a second season with new, even more fantastic scripts, beginning January 9 at 7:30 p.m. on Télé-Québec. Thanks to Les Satiriques, special effects wizards Pierre-Luc Gosselin and Nicholas Savard-L’Herbier, a number of personalities will step out of their comfort zone and take on a role that you never would have imagined seeing them in. Through the genius of Pierre-Luc Gosselin, Nicholas Savard-L’Herbier and their accomplices, Korine Côté, Pascale Barriault and Simon Gouache, several celebrities get the opportunity to be transported into a script specially created for them. Karine Vanasse is cast as Jezabella, vampire and avenger. 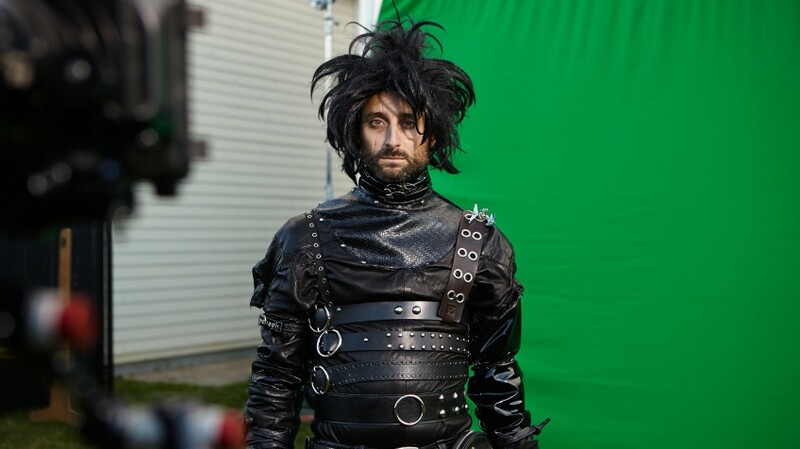 Louis-Jean Cormier becomes Edward Scissorhands. Aboard his vessel, André Sauvé is a stolid and authoritarian soldier. François Pérusse, alias Zorro, finds himself in a small Mexican village. A martial arts combat awaits Mario Tessier and José Gaudet of Les Grandes Gueules. Also, tune in to see Anaïs Favron, Jean-Michel Anctil, Jean-René Dufort, Mahée Paiement, Marie-Ève Janvier, Jean-François Breau, Marie-Mai and Pénélope McQuade in very unusual situations. Beginning January 9, discover the new “Les gars des vues” app, which will allow you to film your own videos and add special effects. The application will be available on the App Store. In addition, the website – lesgarsdesvues.telequebec.tv – will grant you access to all the episodes, bonus material and news. You will also be able to embed yourself in false interactive advertisements by adding your photo. Great news for the series, Les gars des vues: Beginning December 16, TV5MONDE will present the first season in many regions, including Latin America, the United States, Europe, the Middle East, Africa, Asia and the Caribbean. The second season of Les gars des vues will be aired on Télé-Québec beginning January 9 at 7:30 p.m.